Once a sea creature, she’d long ago left that life, not of her own choosing at first, but now Sassas was comfortable on two feet connected to two tall long legs. Those legs sent her past the dunes now, up toward the old man’s house. She squinted as the sun climbed higher, offering rosier pinks and a hint of the blue sky that would surround the town in a few more minutes. Sassas scrabbled up the stone steps. Uncle Josh worried about her when she left for a splash in her old place. The ancient place. 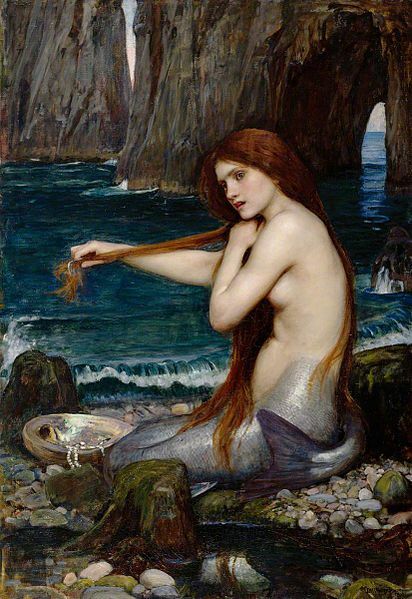 He’d hooked her when he was a 24-year-old fisherman and she just a 600-year-old sea nymph. She had changed little. Her fins disappeared within two years, her long green hair turned blonde in the sunlight, and her smile glistened with the newness of Earth living. But Uncle Josh, who renamed her Sarah on that long ago fateful morning, was approaching his 90th year of Earth life. And Sassas wondered how she’d survive without him. Sassass enjoyed the rhythm of life out of water. She followed the lunar patterns of the full moon to the new moon, racing outside every evening to catch a glimpse of the golden orb. To her, that’s what Uncle Josh’s golden band represented. On sand and mud and concrete, time didn’t swirl like the tides of her old home. Time disappeared and then slowly reappeared as a crescent shape, partly in this world, and partly in the other dark mysterious universe above. Sassass raced into the house at Josh’s strangled cry. She found him kneeling on the floor, clutching his chest. “Uncle Josh?” she whispered. His eyes, once bright with hope and promise, faded. Suddenly his face became bright with joy, beaming like the full moon. No words. But they seldom spoke verbally to each other. Sassass stood over Uncle Josh’s prone form, not alarmed. Just waiting. His silvery shiny spirt slowly weaved out of his body, shimmering in front of her for a few seconds, and then lifted away and dissolved into the invisible air. Oh!” Sassass exclaimed, and the air absorbed her realization. She’d never be alone. Uncle Josh would always be nearby. 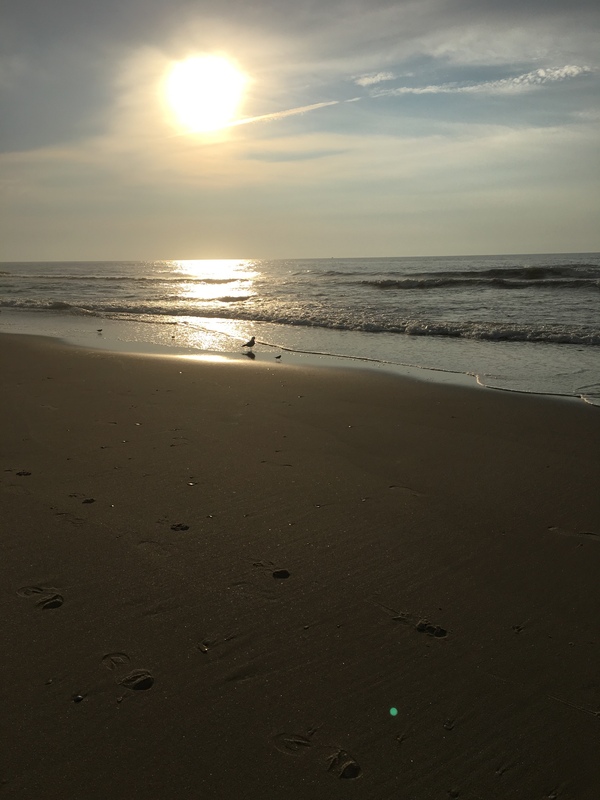 When the sun fell into the sea later that day and the moon rose cheerfully above her, Sassass rolled Uncle Josh’s body into his bed blanket, pulled it past the house and the dunes and toward the surf. His human form would join her spiritual friends in the sea. Perhaps, it was time for her to join them again too. Oh wow! 😀 Pam, this is pure magic and I’m sure I held my breath throughout, hanging on your every word. The serenity is carried until the very end and you manage to encapsulate a whole book almost in this short story. I was hooked by Sass/Sarah, her introspective memories whilst the urgent call from Uncle Josh punctuated her stream of consciousness. I recently read Sarah Winman’s mystical and magical A Year of Marvellous Ways, and the main character is amazing, old now but born of a mermaid … an astonishing and most unusual book. Sassas just ‘came’ to me, and I must admit, I love her. I’ve just added A Year of Marvelous Ways to my TBR list. Thanks, Annika. Thanks for enjoying my sea nymph tale, Linda. From one storyteller to another – I thank you! It is true, isn’t it? When I wrote this, Sassas came to me with her story. I didn’t realize the depth of what she had to say until much later. Thank you for recognizing it! 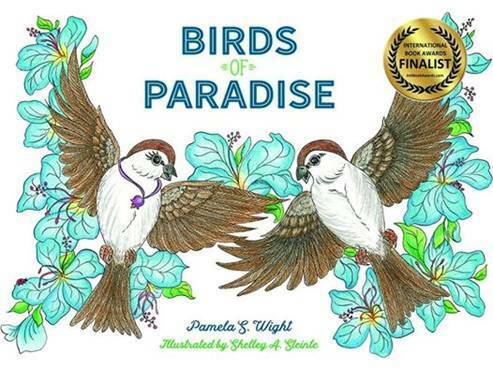 Enchanting story, Pam, with a happy ending despite death and loss. It fits my beliefs that death is not permanent and there is life beyond. Beautifully written, my friend. Such a beautiful and enchanting story Pamela. One of my favourite films is The Secret of Roan Inish filmed not so far from here.. I liked it as you had me wondering from the start. For me, an enchanting trip into mythology. Well done, Pam! Funny, I’m not “up” with mythology, yet it must be in my head somewhere, since Sassas appeared to me as soon as my pen hit the watery paper. Many thanks, Frank. It worked! … so keep doing what you are doing! A beautiful idea of thinking of living on this way, too. I like the Waterhouse image, and your own photograph is stunning! I love The Secret of Roan Inish! It’s a movie we watched a few times with our daughters. There’s a Child Ballad, and I first heard it when I was teen–probably Gene Shay’s radio show. Joan Baez did a version of it. A magical tale, well-told. Perfectly lovely, something to ponder as I garden this weekend, tilling old plants into the earth as I start new plants in their place. A transformation, eh? What a special story, Pam. At the risk of repeating many others – magical! Compliments are never repetitive – they’re miraculous and always appreciated! 🙂 Many THANKS. I thought maybe Uncle Josh would turn into a mermaid … not likely, but when you hook the reader, strange ideas appear. Ha! This is a lovely tale, Pam. Happy even though the old man dies. Lovely read, Pamela. Happy Friday to you! My pleasure… ! … the reading of the book, and then reviewing it. Congrats on a job well done, Carrie. Wasn’t that a tear running down the check story. Love it. You have such a creative mind! Good job! Delightful and touching story Pamela! Full of love, magic, and reverence for life. Wonderful! Sweet story, Pam. Well done. that holds me spellbound throughout. The beauty of Sassas/Sarah and Joe; their spirits entwined and dancing together. His silvery, shiny spirit staying with her and she returning his physical remains to her spiritual friends in the sea. Fantasy is sooooo broad, Pam. I lump a whole bunch of sub-genres under the heading, including mermaids. 🙂 Loved the story! Your prose sounded lyrical Pam…a hangover or the magic of the story? The sound effects accentuate the mystic nature of this tale that perfectly blends all the elements of story telling…romance, fantasy and suspense. One reading is not enough! thank you for this mornings’ journey to the sea as I sit in land locked AZ!!! I like your new name. Sorry about that. What a beautiful tale. I love mermaids, so that made it even more special. Just the right amount of information. Loved the ending. And I’m so relieved earthlings didn’t get involved. Thanks Pam. I’ve just begun Laurie Buchanan’s upcoming release, The Business of Being (and enjoying her very creative organization of the content). And now Melanie Crowder is on the Recommened ToBe Read List. Thanks. I’m reading Laurie’s Business of Being also! Ahh, it’s a beautiful small world. Enchanting story. I have always loved the paintings of J..W. Waterhouse… and that one was the perfect illustration for your story. From the depths of the ocean, I thank you Nancy. I just finished reading Circe and as I usual when finishing a wonderful book – I am famished for more. How delightful to read your magical post that staved off my hunger for a time. I didn’t read Song but I am now on the waiting list at the Library for that one. I often end up reading things backward but when I read the review of this book it sounded like it stood independently. I will be waiting to hear what you think of it. Pam, what an enchanting story! I absolutely loved it! That was so sweet. I do hope you submit it to an anthology. What a lovely and magical story. So beautifully told, Pam. I really hung on every word. Mermaids are my favorite, what a beautiful, enchanting story Pamela. Simple and gorgeous Pam. Who can’t love a mermaid? I’d be a sucker for those Sirens sweetly singing. What a beautiful post with lovely writing and images. I miss the sea so much. You captured the atmosphere so perfectly. Ohhh, many thanks Adrienne. 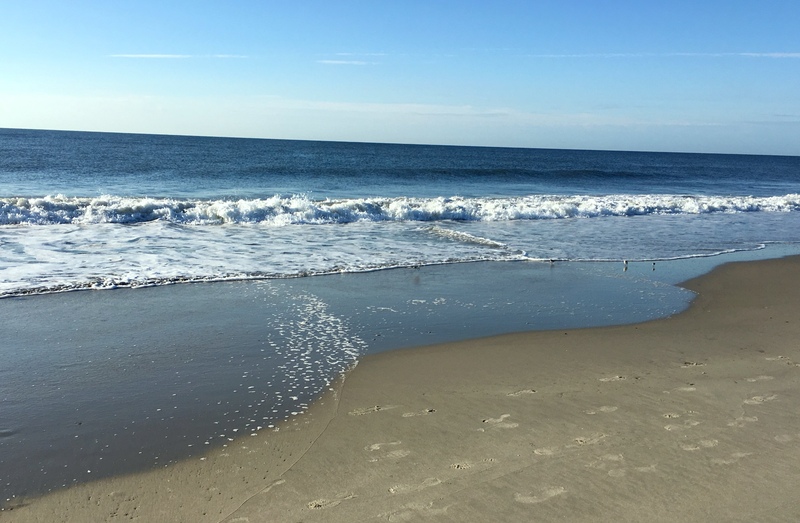 Yes, as I wrote about Sassas, I longed to return to the sea as soon as possible. So glad you felt that longing also. Now, I know this is not the same* but I absolutely loved this story! It has so many levels and you could flesh this out and really expand it. *I’m agreeing with Diana. Sad and yet, hopeful. I think maybe Sarah/Sassas and Uncle Josh are have a great swim within the seas. Should you see it around, you will fall into Almond’s story. Sassas is already there.